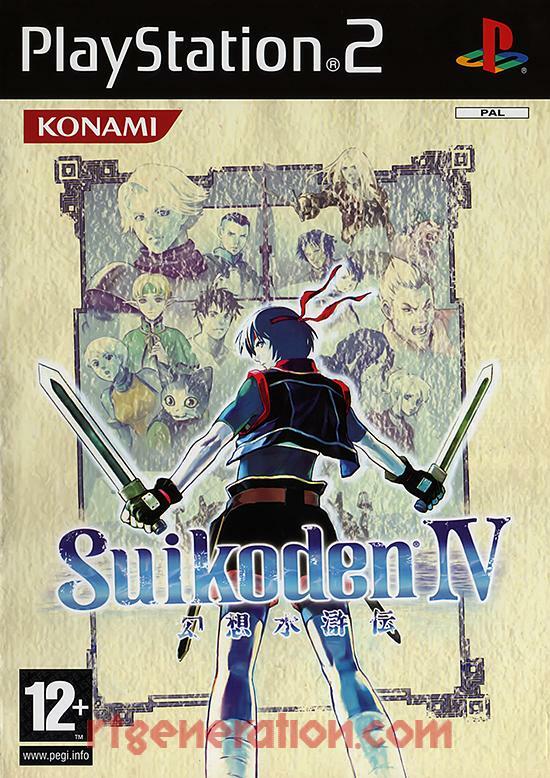 Does anybody here have any information as to why at some point in time, for some reprint of the game, the European release went from a PEGI 7+ rating to a 12? I've found scans of both versions and would love to get an answer. I don't think even PEGI would know at this point but if I had to hazard a guess I can think of two reasons. 1. Since all 12+ ratings I can find seem to originate from the UK it's possible that the UK had it's own rating for some regional difference while the English language box sold in other territories that don't require their own translations had 7+. Certainly all Spanish and Italian boxes I can find have 7+ on them, don't know about German and French, but I think Germany has their own thing called USK. 2. 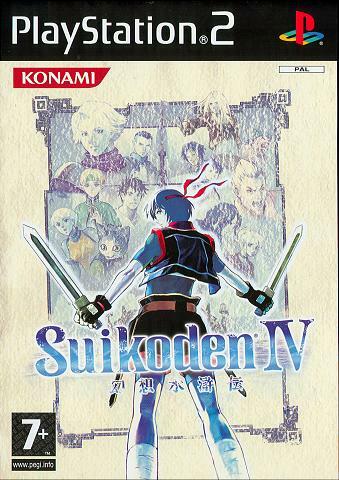 PEGI guidelines simply changed between printings if Suikoden IV actually had a second printing. Probably because they say "bastards" quite a lot in this game. Raww Le Klueze wrote: I don't think even PEGI would know at this point but if I had to hazard a guess I can think of two reasons. Yeah, Germany has its own thing. the game is USK 6, no PEGI rating. I think newer games also have to include the PEGI rating, but back then, only USK was printed on the game. I am working with a connection I have in game development. Since I don't know how the PEGI rating system works at all he chimed in with some information based on experience and knowledge of the way this system works. We are working for an answer for archival purposes and its something that's a bit strange and uncommon among European PS2 releases. We can speculate for years, but we're hoping that somebody has a concrete, definitive answer. This is what he shared with me. Konami had separate print runs in 2009 and 2011 for the United Kingdom. 2009 releases updated the Konami branding and BBFC logo, 2011 updated the BBFC logo (and removed the BBFC descriptors), and 2011 also resulted in new PEGI print runs with the new color logos. A) Parental Controls on the disk are set to Level 5 (for PEGI 12+), and the box packaging just didn't reflect it and needed to be reprinted. B) Parental Controls on the disk were set to Level 3, and the box packaging was updated to show a newer PEGI rating, but the disk was not updated. C) Parental Controls were updated from Level 3 to Level 5, but they didn't care to notate the change with a revisioned disk (-XXXXX# Part # on the disk). Well in a weird turn of events I asked PEGI on twitter and they swear up and down that it's always been 12+ and think the 7+ are fakes. Which seems very unlikely since I have one promo and one retail relase and both say 7+ and I can't fathom why anyone would try to fake a promo copy when they're less valuable than the retail games. PEGI wrote: 10 years ago, early PEGI days so may have been a faulty early batch (promo copy seems to support that). For collectors! It seems like this is going to be something that will need to be confirmed from a former employee of either PEGI or Konami at the time this rating change happened. Needle in a haystack anybody?